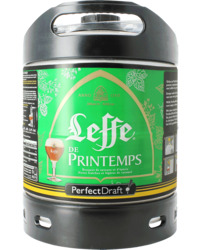 Beer Kegs: Perfectdraft, Beertender, Keykeg, 5 Liters IPS, etc. 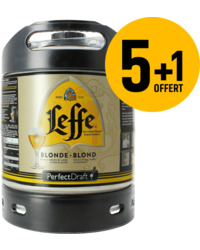 Hoegaarden PerfectDraft 6-liter Keg - 5+1 FREE! If you're the proud owner of a beer pump, then you'll know how useful beerpumps can be for parties or just chilling with friends. there's nothing quite like freshly poured draft beer chilled to perfection just like you get at your favourite bar. 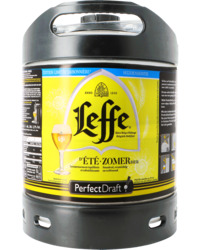 Nevertheless, you can't pour beer without the right kegs, and HOPT have a great selection of kegs in different sizes from a wide range of classic breweries like Hoegaarden, Leffe, Tripel Karmeliet and Kwak. 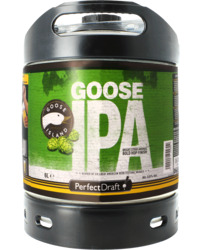 You're just a few clicks away from finding the perfect draft keg to share with friends. 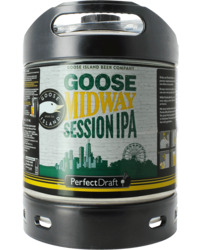 And each keg features detailed product information about the size of the keg, the compatibility with your beer dispenser - IPS keg, PerfectDraft, standard keg - as well as the strength, colour and style. Choose from classic Lagers and Pilsners like Stella Artois, Becks or Jupiler, or Blanche Witbiers like Hoegaarden Wit. 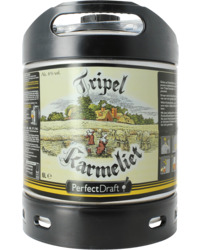 Maybe you prefer Belgian Abbaye beer like Tripel Karemliet or Belgian Pale Ales such as Kwak. Whatever your taste, we've got classic beers to suit, and our customer service team of craft beer enthusiasts is avaiable to answer you questions by phone or email to help you choose the perfect draft beer kegs. Saveur Bière is France's market-leader for online beer sales, offering an ever growing range of bottled beers, beer pumps, beer glasses, and beer assortments. Our young, dynamic team has just one goal – customer satisfaction. To ensure our clients are 100% satisfied, we do everything possible to offer a quality service, responding to the needs of our customers and searching out the finest beers you'll find anywhere. True specialists in beer and breweries, our IT, logistics, purchasing, sales and customer-service teams work hard every day to make sure your customer experience is the best it can be.